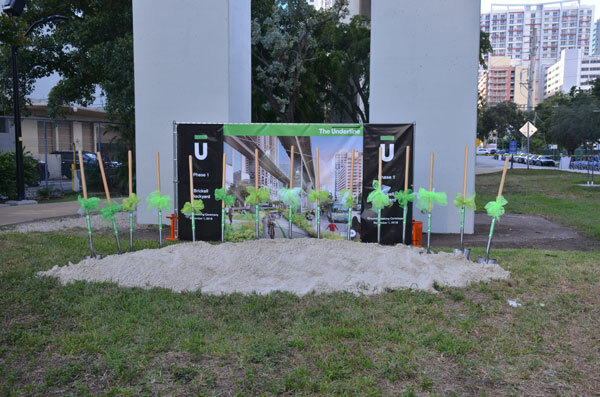 Beginnings for the transformation of the ten-mile desolate and under-utilized paved path and area under the Metrorail were ceremoniously commemorated at a ground-breaking on November 1, 2018, as The Underline’s Phase 1 “Brickell Back Yard” was held. 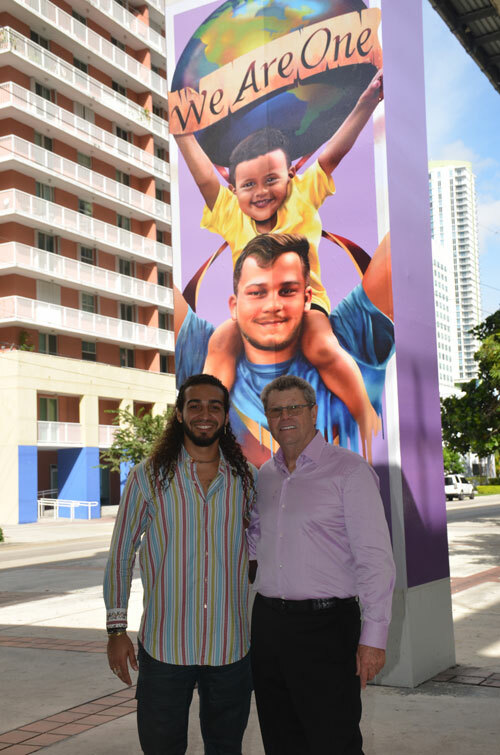 Many call The Underline Miami’s answer to the very successful High Line in New York City. 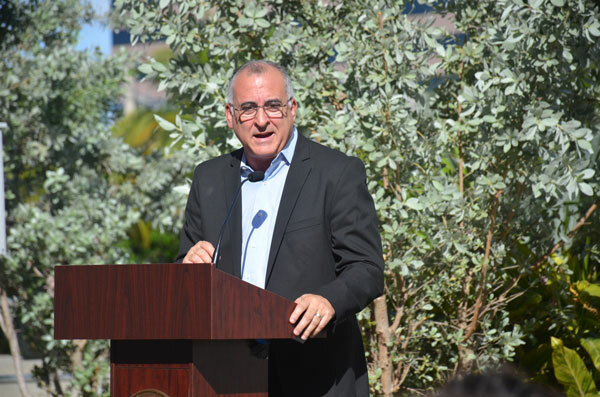 When the Metrorail started in 1983, original path was early-on referred to as a “linear park” by former County Manager Merrett Stierheim. 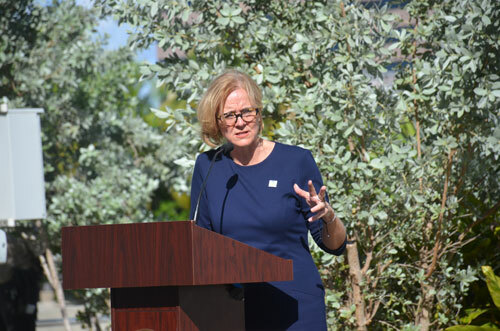 And thirty years later, it took vision and determination to begin to make it a reality as a vibrant and transformational “urban trail and linear park.” Such is the vision and determination of Meg Daly, Founder and President of Friends of The Underline. Meg Daly, President of Friends of The Underline. A master plan envisions a ten mile trail would create separate pathways for cyclists and pedestrians. There would be art, a series of parks, playgrounds and spaces to congregate. 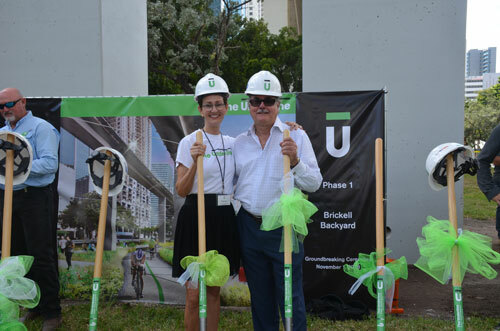 The Underline would connect neighborhoods and improve quality of life for people living proximate to the trail, and would promote Metrorail use and commuting by bike by making both more appealing and convenient. 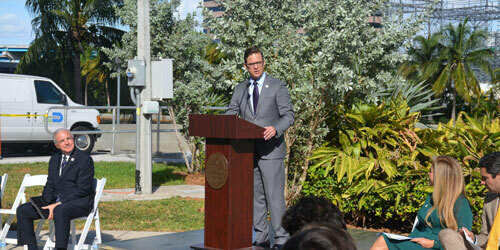 Safety is a paramount concern and all the intersections along the US1 corridor would be enhanced and improved. 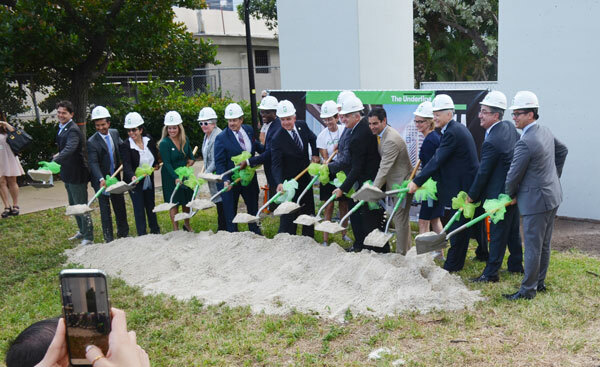 In ushering in this transformative project and working it for the past five years. 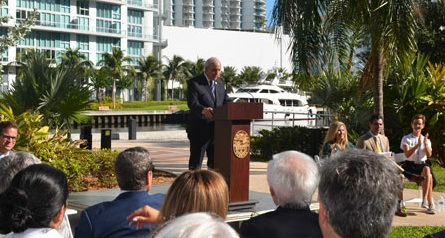 Meg called upon her dad, now the late Parker D. Thompson, who shepherded the building of the Performing Arts Center in downtown Miami. 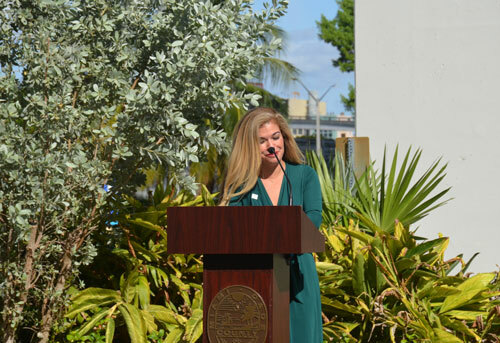 Community meetings were held, public officials lobbied and generous donors solicited. 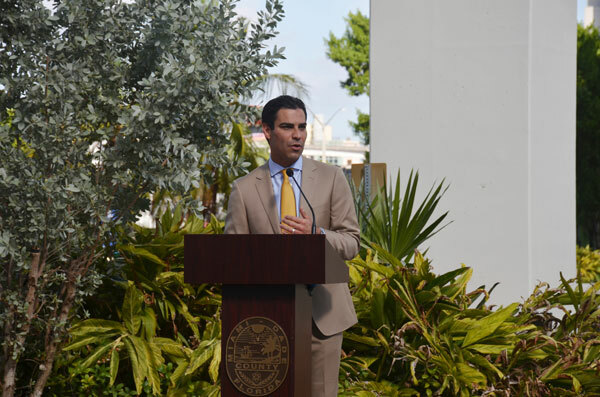 Is it estimated that the plan build-out could cost as much as $120 million. 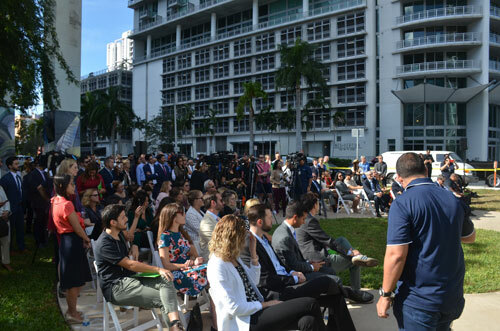 To date, Daly has secured about $90 million in funding commitments from the State of Florida, Miami-Dade County, Coral Gables, developers, private business and foundations. 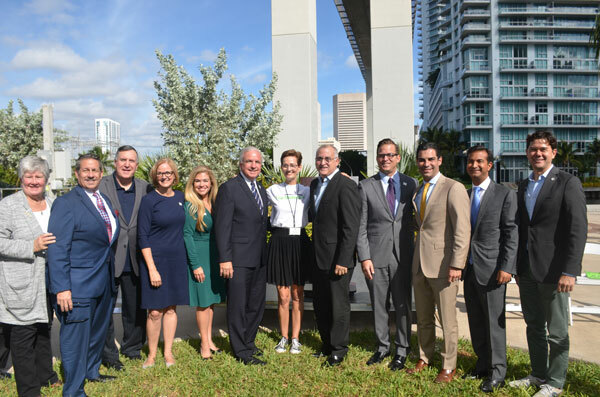 (L-R): Miami-Dade County Commissioner Sally Heyman, Miami-Dade County Commissioner Pepe Diaz, City of Miami Commissioner Joe Carollo, Miami-Dade County Commissioner Eileen Higgins, Miami-Dade County Department of Transportation and Public Works Director Alice Bravo, Miami-Dade county Mayor Carlos Gimenez, Friends of The Underline Founder Meg Daly, Miami-Dade County Board of County Commission Chairman Esteban Bovo, State of Florida Lt Governor Carlos Lopez Cantera, City of Miami Mayor Francis Suarez, US Congressman Carlos Curbelo, City of Miami Vice Chairman Ken Russell. 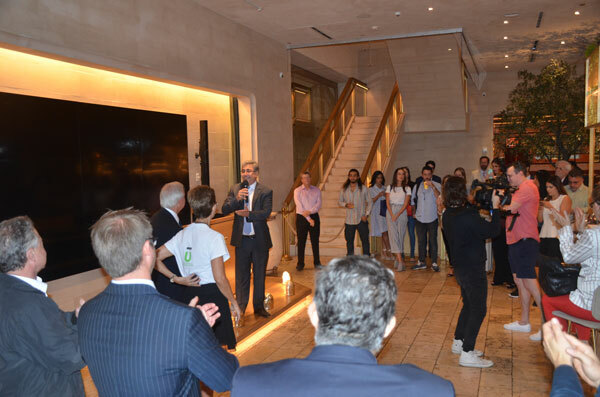 After the ceremony, guests were invited to La Centrale at Brickell City Centre, where Chris Gandolfo of Swire Properties which donated $600,000 presents a toast to The Underline. 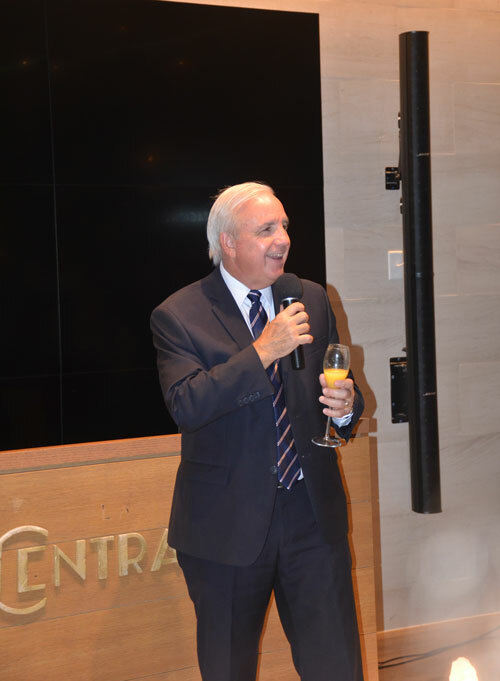 Mayor Gimenez offers a toast at the La Centrale reception.